We know that finding somewhere to rent in London can be a stressful experience. That’s why we go above and beyond to look after our tenants as we help you find your new home. What exactly are you looking for? A two-bed flat with gas heating? A studio apartment within ten minutes of a Tube station? Knowing exactly what you want will help us make sure that you see the right properties. 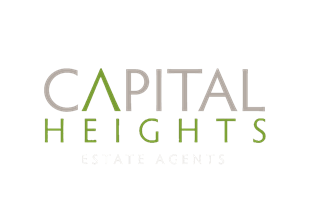 Take a look at our website to see the range of properties that are available right now. If you’ve registered with us, you’ll also receive a list of the latest available properties straight to your inbox. This means you’ll be at the front of the queue when your ideal property comes on the market. First of all, you’ll need to complete the reference checks and pay your holding deposit and referencing fee. Once you’ve passed, we’ll draw up the Tenancy Agreement. Now that you’ve found some great properties you’d like to rent, it’s time to view them in person. Viewings take place throughout the day, including Saturday, or in the evenings. We’ll work with both you and the existing tenants or owner to find a time that works for you. Once you’ve found your ideal property, you’ll need to complete an application form and sign the confirmation of offer form. This helps the owner decide who will make the best tenant for their property. Once you’ve been selected, it’s time to move on to the next step. Don’t forget that you’re responsible for paying the TV licence, council tax and utility bills. You finally have the keys to your new home – congratulations! The amount of the deposit will be specified in your offer form and Tenancy Agreement. We’re registered with the Deposit Protection Scheme, so you can be sure it’s in safe hands. You’ll also need to transfer the first month’s rent before moving in.